This bit of news has made me very happy. DEAUVILLE, France (AP) – The road trip comedy Little Miss Sunshine’ won the top prize Sunday at France’s Deauville Film Festival for American movies. The black comedy starring Greg Kinnear, Toni Collette and Steve Carell tells the story of a family’s calamitous trip to a child’s beauty pageant. The jury prize went to director Ryan Fleck’s Half Nelson,’ starring Ryan Gosling as a junior high school teacher addicted to crack cocaine, while best screenplay honors went to writer-director Laurie Collyer’s Sherrybaby, with Maggie Gyllenhaal as a junkie trying to put her life in order after prison. 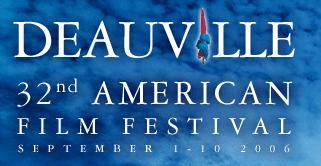 The festival at the Normandy resort is a European showcase for mainly small-budget American films. French director Nicole Garcia presided over a nine-member jury. Last year, Paul Haggis’ Crash won the top prize at Deauville, then went on to win the Oscar for best picture. The Deauville Film Festival, albeit a small film festival geared towards low-budget American films, picked some Oscar forerunners. The three films mentioned in the article will possibly cause a stir this award season. I’m personally expecting big things from Little Miss Sunshine, maybe even a nod for Steve Carell ( a girl can dream). Hopefully, I’m going to see LMS on Wednesday. I’m very excited! I’ll try to go see The Black Dahlia on Saturday.